July 31st in Premium Themes by Wordpress Jedi . WordPress may be a killer content management system, but that doesn’t mean you should forget about choosing a decent theme that lets you manage your content more effectively. As someone who’s seen so many WordPress themes in the past few years, I can tell you that there are many atrocious WordPress themes out there. It’s true that your content is more important than how your website looks but having an attractive, user friendly theme pays in the long run. Office Space is one of those themes. The latest theme by Press 75 is designed to help you give your site a killer makeover. What I like about this theme is that it’s not specific to a website type. Whether you own a magazine website, a news portal, or a startup mini-site, you can easily give it a makeover with Office Space. You can easily add your logo, change your background, and give your site a unique look and feel too. 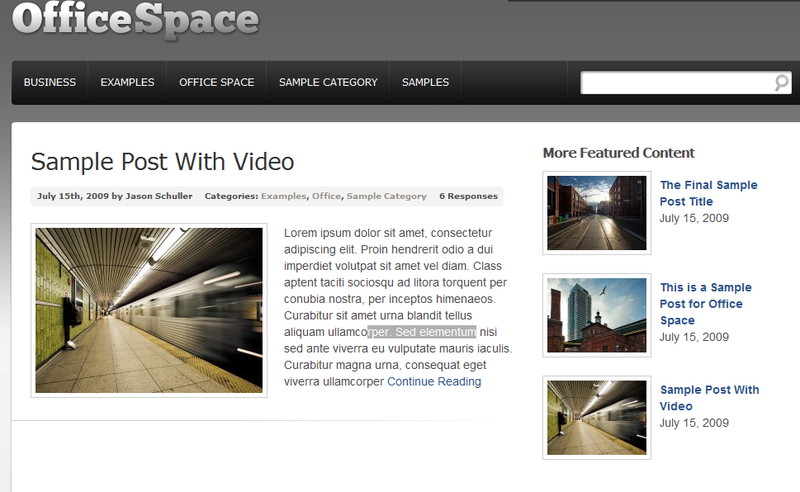 Office Space theme comes with a bunch of cool widgets to help you manage your content more easily. 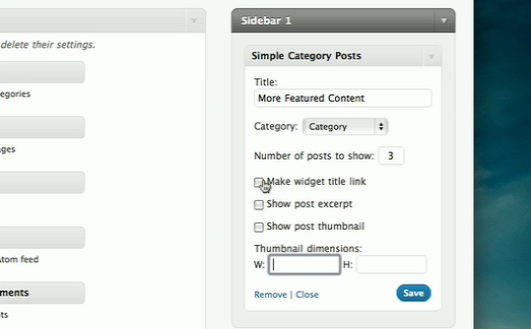 These widgets help you add content to your sidebar and Featured section easily. Adding videos and images can’t be any easier either as Simple Post Thumbnail and Simple Video Embedder can save you a lot of time and effort with managing video/images. This theme is affordable as well. For $75, you can get your hands on a single license for Office Space. If you feel you need more than one theme, you can always go for the unlimited package that lets you use this theme on as many sites as possible. All in all, if you are looking to give your WordPress blog a makeover, Office Space Theme is a must try.